RHETORIC AGAINST IRAQ NOW TAKING THE SHAPE OF 2,700 YEAR-OLD-PROPHECY! Title: RHETORIC AGAINST IRAQ NOW TAKING THE SHAPE OF 2,700 YEAR-OLD-PROPHECY! 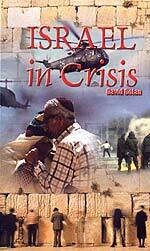 Subtitle: Incredibly, Bush Administration War Rhetoric against Iraq has possibly taken a prophetic turn! In the midst of so many prophecies being fulfilled, or the stage being set, this change in events is both startling and reassuring. Let us begin at the Biblical beginning, as we examine the relevant Scriptures listed above as our starting point. The book of Isaiah was written in approximately 722 BC [KJV New Analytical Bible, p. 1454]. This historic fact means that this prophecy quoted above is over 2,700 years old! Thus, it is wonderfully reassuring to a Fundamental, Bible-believing Christian when events in today's news are setting the stage for the fulfillment of this prophecy! During this past week, the rhetoric concerning our impending attack on Iraq emanating from President Bush, Vice-President Cheney, and Defense Secretary Rumsfeld took an abrupt turn so that, when their rhetoric is carried out, this Last Days' prophecy foretelling an unprecedented attack on Babylon (Iraq) by an army from a "distant country" that "seizes and destroys the whole land" may finally be fulfilled. Verses 1-3 of Isaiah 13 were literally fulfilled in the days of Daniel, when the Mede-Persian army entered the gates of Babylon to kill King Belshazzar and his entire group of nobles, thus ending the reign of Babylon as the world power and instituting the empire of the Medes - Persians [Daniel 5]. However, the prophecies of doom for Babylon (Iraq) contained in verses 4-13 remain unfilled and are tied tightly to the End of the Age by the following revelations in the following verses of this momentous chapter. Verse 6 -- "For the Day of the Lord is at hand ..." -- The "Day of the Lord" refers to the entire time period immediately preceding the final birth pangs that produce Antichrist (Matthew 24:8), through the Tribulation Period of 7 years, and up to the moment Jesus Christ returns (Revelation 19:11-21). Thus, when we see the "Day of the Lord" in verse 6, we are assured that this prophecy is End of the Age. Verse 10 -- "For the stars of the heavens and their constellations will not give their light; the sun will be darkened at its rising and the moon will not shed its light." This wording is almost exactly like that of other, more well-known prophetic End of the Age prophecies. * Matthew 24:29 -- "Immediately after the tribulation of those days the sun will be darkened, and the moon will not shed its light, and the stars will fall from the sky, and the powers of the heavens will be shaken." * Luke 21:25 -- "And there will be signs in the sun and moon and stars; and upon the earth [there will be] distress (trouble and anguish) of nations in bewilderment and perplexity ..."
* Revelation 6:12 -- "When He [the Lamb] broke open the sixth seal, I looked, and there was a great earthquake; and the sun grew black as sackcloth of hair, [the full disc of] the moon became like blood." Thus, we can see the great similarity of the wording of this passage in Isaiah 13 and these other three well-known End of the Age prophecies. These verses of Isaiah 13:4-13 are to occur at the End of the Age and may be about to be fulfilled by President Bush and his Administration. Before we get into the rhetoric of this past week that so clearly indicates we are seeing the setting of the stage for this prophecy to be fulfilled, let us examine some relevant portions of this passage. "Hark, the uproar of a multitude in the mountains, like that of a great people! The noise of the tumult of the kingdoms of the nations gathering together! The Lord of hosts is mustering the host for the battle. They come from a distant country, from the uttermost part of the heavens ... even the Lord and the weapons of His indignation ..."
These forces are going to be mighty and they are going to come from the "kingdoms of the nations" living in a "distant country, from the uttermost part of the heavens". The forces assembling to attack Iraq will be lead by the United States and Great Britain; these nations are clearly "distant countries" from Iraq, as they literally are located on the other side of the earth from Iraq! President Bush and his Administration officials probably have no idea they are being gathered to this battle by God Himself, and that the armies and armaments we are readying are the "weapons" of the "Lord and His indignation". 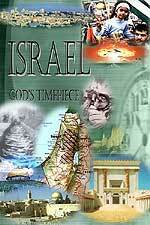 * God's purpose is to "seize and destroy the whole land" -- Isaiah 13:5b. During the Gulf War of 1990-1991, I felt this prophecy was going to be fulfilled, as so many of the elements seemed to be fitting together. However, when President Bush, Sr., announced that he was pulling American forces off Iraq's Army, preventing them from driving to take Baghdad, I knew instantly that this prophecy would have to await fulfillment until another day. It was instantly obvious that we were not going to "seize and destroy the whole land". Therefore, we must watch events unfolding. If Iraq is seized and destroyed, the prophecy will have been fulfilled. But, if Iraq is not seized nor destroyed, then the fulfillment of this passage will have to await again until another day. "Unprecedented Warfare" is prophesied. The United States and Great Britain are going to use weapons that are totally new and totally destructive. When Iraq is hit with our "E-Bomb" that knocks out all communications, and all TV transmissions, the people will be totally aghast. Iraqi commanders were probably aghast when their state-of-the-art Air Defense fiber optics system was totally destroyed even though the fiber optics cable was deeply buried; we used a weapon that no one even knew we had: a missile equipped with a system that can sense fiber optics cable! If we use Weapons of Mass Destruction on Iraq, the people will truly be aghast, as they are hit with nuclear, neutron, chemical, and/or biological weapons from Allied bombers and missiles. "For as you [Edom] have drunk upon the mountain of My holiness [desecrating it in the wild revelry of the destroyers], so shall all the nations drink continually [in turn, of My wrath]; [Obadiah 16a; Parallel Bible, KJV/Amplified Bible Commentary] Once God's wrath begins, the nations around about will "drink" of His wrath "in turn". Thus, we see that, once Iraq gets her judgment, God will then expand His judgment outward to take in the whole world. The Illuminati has been planning since 1870 for three world wars designed to produce their Masonic Christ, the Biblical Antichrist [Read NEWS1056 for full details]. The world stands at the brink of the final war, the final "birth pangs", "birth sorrows", designed to produce Antichrist. The war in Iraq may just be the Biblical trigger to begin these final birth pangs so Antichrist can arise. This is the plan of the Illuminati, and seems to be the Biblical plan as well. "Vice President Richard B. Cheney said yesterday that Saddam Hussein is "actively and aggressively" trying to build a nuclear bomb, and two key senators disclosed that U.S. officials have warned the Iraqi dictator that he and his country face 'annihilation' if he deploys a weapon of mass destruction." This word, "annihilation" really struck me hard, for it is the type of word that may fulfill this particular prophecy. "Annihilation" means to totally destroy, to utterly destroy. What did God foretell in Isaiah 13? He said He would cause the invading armies to "seize and destroy the whole land". Further, God said in Obadiah that the peoples would "in turn" swallow down His wrath and "they shall be [destroyed] as though they had not been." That is annihilation. Therefore, when Vice President Cheney suddenly turned the rhetoric to "annihilation", he may have just set the stage for this prophesied judgment to occur! Senator Bob Graham, D-Florida, said much the same thing, but notice that his remarks extend to the Iraqi people and their society. Certainly, our destruction of Iraq with our weapons of mass destruction would cause this type of reaction from the people of Iraq. But, now let us review what Bush was saying about this subject of annihilating Iraq. NEWS BRIEF: "Bush To Threaten Iraq With Unconventional Weapons Destruction! ", HEADLINES, by DEBKAfile, 8 September 2002. "Bush and Blair Report Sufficient Evidence of Iraqs Bio and Chemical Weapons Plus Nuclear Weaponry Potential for Action against Baghdad. Statement Ends Camp David Summit Saturday Night. US President, in Thursday UN Speech, Will Deliver Ultimatum to Saddam: Accept UN Arms Inspectors Unconditionally or Face Unconventional Weapons Destruction". DEBKAfile is reporting that Bush intended to include in his ultimatum to Saddam Hussein the threat that he would be destroyed by "Unconventional Weapons" if he does not allow the United Nations to completely destroy his Weapons of Mass Destruction. This term, "Unconventional Weapons", can refer to any or all of the following weapons: Nuclear, Neutron, Chemical, Biological. In full accordance with this prophecy, Bush's army from a "distant country" is threatening Iraq with complete and utter destruction by using "unprecedented warfare". With this concept firmly implanted in our minds that God has placed in the minds of our leaders to totally annihilate Iraq and her people, the next two articles take on additional meaning. If President Bush and British Prime Minister Blair know that Iraq will cease to exist because of our attack, they would not be worried one little bit about who would rule Iraq afterward or whether we would have enough people on hand who knew the language. NEWS BRIEF: "Bush: Post-Saddam Iraq Not US Job", By William M. Reilly, United Press International, September 9, 2002. "UNITED NATIONS, Sept. 9 (UPI) -- President Bush Monday told world leaders it will be the responsibility of the whole international community, rather than the United States, to determine what kind of regime should replace Iraqi President Saddam Hussein if his government is toppled by U.S. military action, European diplomats told United Press International." One must be careful not to read something into news stories that are not there; however, I could not help but sense the possible inherent in the headline of this article. Even though the end point of Bush's remarks referred the matter of a post-Iraqi regime to the United Nations, Bush seemed like he really did not care about a post-Iraq, possibly because he knew the plan was to annihilate them, just as this prophecy foretells. Let us review another article that seems to indicate a lack of caring about a post-Iraq culture. NEWS BRIEF: "Iraq theater's Tower of Babel: Sources cite inadequate preparation of Arabic-language interrogators", By WorldNetDaily, Joseph Farah and Jon Dougherty, September 18, 2002. "Sources close to the preparations for a U.S. invasion of Iraq are concerned about what they perceive to be the military's inadequate preparation of Arabic-language interrogators  a critical component not only of a battlefield victory but a nation-building operation afterwards. Current training exercises emphasize battlefield interrogation techniques, overlooking the need for understanding tribal conflicts, terrorist infrastructures, Islamic politics and other concerns, say the sources. The important lessons learned in the low-intensity conflict in Afghanistan are not being properly assimilated into the training programs, they say. In addition, the sources say, there is little emphasis on understanding the politics, personalities and unique history of the region. Experienced interrogators, who will, by necessity, play a critical role in finding the weapons of mass destruction and the terrorist leaders and bases inside Iraq, could miss opportunities and key information because they simply lack proper training and education about Iraq ... Insufficient knowledge of the Koran's teachings is a real liability, the sources point out ... One Arabic-language interrogator points out it takes 18 months to produce a minimally qualified Arabic linguist." If you read this article with the prophetic implications in mind, you can easily see why our armed forces do not put a high priority on having enough Arabic translators on hand to govern the country after the war. If President Bush and his Administration officials carry their latest annihilation rhetoric into action, Iraq may cease to exist; there would be no country and precious few people to govern. The importance of this change in rhetoric cannot be emphasized enough. Iraq will be destroyed by armies coming from a distant country, wielding weapons that will bring "unprecedented warfare" upon the nation and its inhabitants. And, Iraq will be seized and destroyed. Is this the time that action will occur? Time only will tell, but the conditions seem uniquely right.